Very Light Jets Archives | Jet Partners Worldwide, Inc. 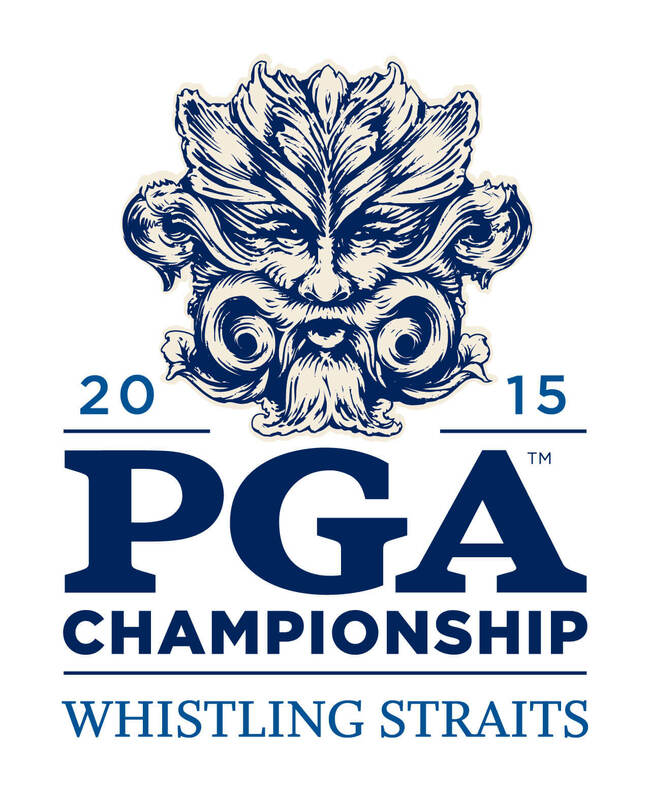 This year’s PGA championship at Whistling Straits will be held August 10th-16th. This is the last major of the year and proves to be an exciting event for golf fans. Many questions will be answered surrounding golf’s top athletes. Will Jordan Spieth secure his 3rd major championship of this year? Will Zach Johnson defend his British open championship? Will Rory McIlroy recover from his recent injury in time to compete? Will Tiger Woods finally find his stroke and get back to prominence? All of these questions will be answered by the tournaments end. Those traveling to the scenic course on beautiful Lake Michigan by commercial airline have their work cut out for them. The course is located an hour south of Green Bay and an hour north of Milwaukee. For those traveling by private jet or aircraft, they have the option of flying into Sheboygan County Memorial Airport (KSBM) which is only a 15 minute drive from Whistling Straits. With a runway length of 6,802 feet, Sheboygan County Memorial can accommodate almost every business jet on the market. Chicago to Sheboygan: 30-45 min. New York City to Sheboygan: 2 Hours. Los Angeles to Sheboygan: 4 Hours. Houston to Sheboygan: 2 Hours 45 min. Due to Whistling Straits close proximity to Lake Michigan there are several posh resorts nearby for fans to stay at such as the American Club in Kohler, WI. Fans could potentially check into the American Club and get to Whistling Straights within 30-45 Min of landing at Sheboygan County Memorial. More information about the surrounding area can be found on the PGA’s area information page. 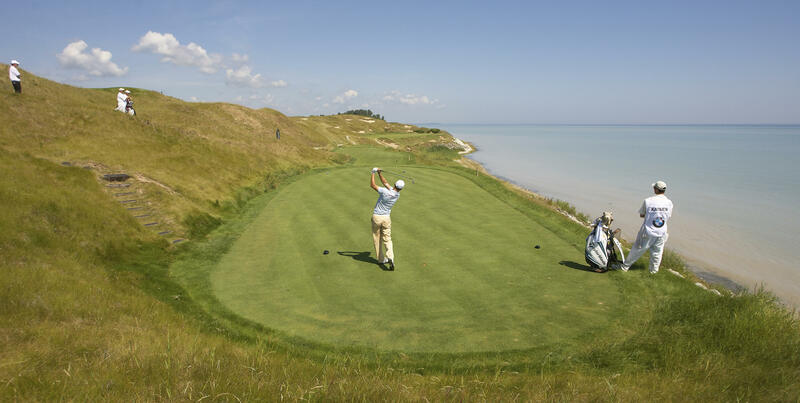 Weekly tickets to Whistling Straits have been sold out since last year. Only a limited supply of daily ground tickets remain so any fans who don’t have their trips planned need to act soon. Slots and parking are also limited at KSBM Airport as is aircraft availability for the tournament dates. If you are interested in getting a quote on a private jet or aircraft to the last major of the year, call or email Jet Partners today. In the last few years, the business aviation industry has seen a number of new technologies emerge. Many of these advancements have resulted in better performing private jets that are more fuel efficient. One of the more popular trends has been the production of Very Light Jets or VLJs. These aircraft typically seat four passengers however many of them offer the same amount of space per passenger as larger aircraft. These light weight private jets help to reduce fuel costs and offer access to airports with shorter runways. It’s very common for business charter flights to carry only one or two passengers on a trip. Many times it’s only the top executives who make use of private jet charters and they can wind up on a jet with 7 empty seats. Aircraft manufacturers have identified this as an opportunity to produce and offer a product catering to this specific type of consumer. The light jet market is one where customers are often using private jets as a business or time saving tool. For these trips, the aircraft with the lowest charter rate is usually the choice. In 2006, Eclipse Aviation became the first aircraft manufacturer to pioneer a Very Light Jet into the business jet market with introduction of the Eclipse 500. This jet sparked a paradigm shift in the business aviation industry and at just the right time. After the economic crisis of 2008, a lot of companies sought out to cut costs and many disbanded their corporate flight departments altogether. Despite the huge amount of negative press companies such as Citigroup received for their use of private jets, charter flights were still a necessity for much of corporate America. VLJ’s presented a way to reduce expenditure yet still take advantage of the many benefits of using business jet. Cessna’s Citation Mustang became the next Very Light Jet to hit the market with the first deliveries shipping out in 2007. The Mustang’s performance and staring price are similar to the Eclipse 500 however many people favor it due to its more spacious cabin. The Citation Mustang also comes equipped with a lavatory which is one thing that the Eclipse 500 has drawn criticism for lacking. Brazilian aircraft manufacturer Embraer took the design of Very Light Jets one step further with the Phenom 100. Emraer’s version of the VLJ provides all the advantages of the Mustang and Eclipse 500 but is superior in several ways. The Phenom 100 boasts best in class cabin space and baggage compartment. The advancements of this aircraft also benefit the environment with lower Co2 emissions and reduced noise levels. It’s no wonder this jet has become the most popular VLJ on the market today. The Phenom 100 provides the comfort and experience of a larger aircraft while maintaining all the characteristics of other Very Light Jets travelers have come to admire. More Very Light Jets Coming soon! These aircraft are becoming more and more popular with those who travel via private jet. Several aircraft manufacturers currently have Very Light Jets under development. Honda even crated The Honda Aircraft Company to develop their version of the VLJ, The Honda Jet, which is currently undergoing test flights. To get a free price quote on a Very Light Jet for your next charter flight call Jet Partners today!